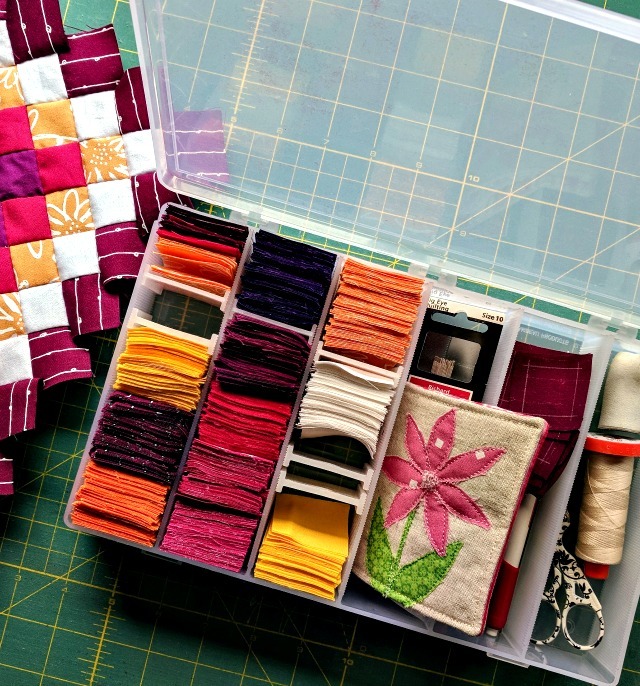 Remember the hand-piecing project I started at QuiltCon? Well I'm still working on it! Can't say I work on it every night, especially when there's a quilt to bind or a newsletter to work on, but I am making progress, and I'm good with that! Yesterday I spent a little time with my iron and tailor's clapper spinning all the seams on the back. It's fiddly and time-consuming, but it really seems to help the piece lay flat and neat... Ie. worth the effort. I'm hoping by posting monthly I'll stay accountable and moving forward on this project. People have asked, "How big are you going to make it?" And there's no answer other than, "I'll know when I'm done." 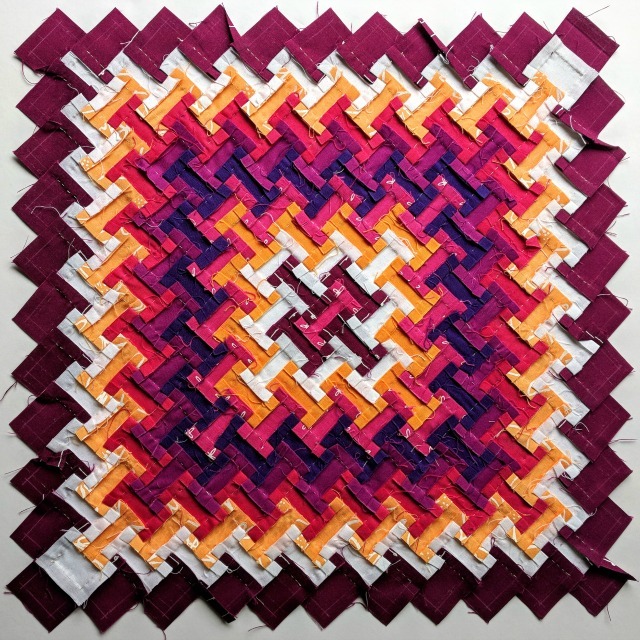 I have no real expectation to make it a full-sized quilt, but I'm hoping I don't lose interest anytime soon. That's a beautiful piece of hand work. Hand work opens a whole new dimension in creativity. And yes, I've noticed that pressing from the back does give a neat finished look. The back looks so tidy after your efforts. I look forward to watching it grow! A pieceful project to work on ! I love how the back looks and the new pattern formed with the seams. That is a lot of work and yes...worth it! I am amazed at how much you have already done! The back is just as gorgeous as the front...so precise! The back is even more beautiful! Wouldn't that make an amazing pattern in and of itself?! This is gorgeous! 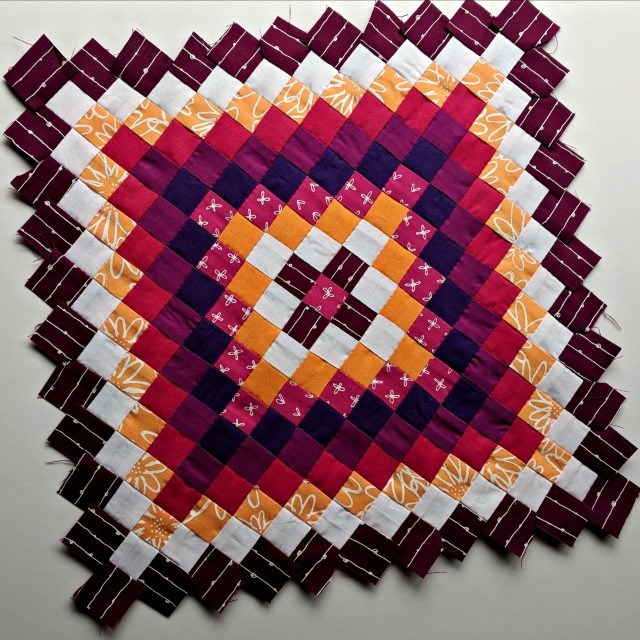 I love hand piecing too, and this is such an inspirational piece! I'm going to look into the ArtBin--seems like a great way to stay organized. I look forward to seeing your progress!